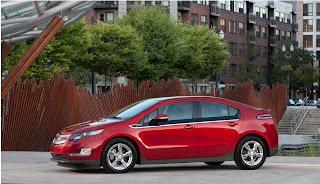 Chevrolet today introduced the all-new, 2011 Volt electric vehicle with extended range, establishing an entirely new segment in the global automotive market. The five-door, four-passenger Volt is designed to provide the benefits of an electric vehicle without the range limitations associated with other electric vehicles in the market. Designed, engineered, built and delivered to customers in 29 months, the Volt will go on sale at Chevrolet dealers before the end of 2010. It is offered in one very well-equipped standard trim level, along with two option packages: a Premium Trim Package and a Rear Camera and Park Assist Package. 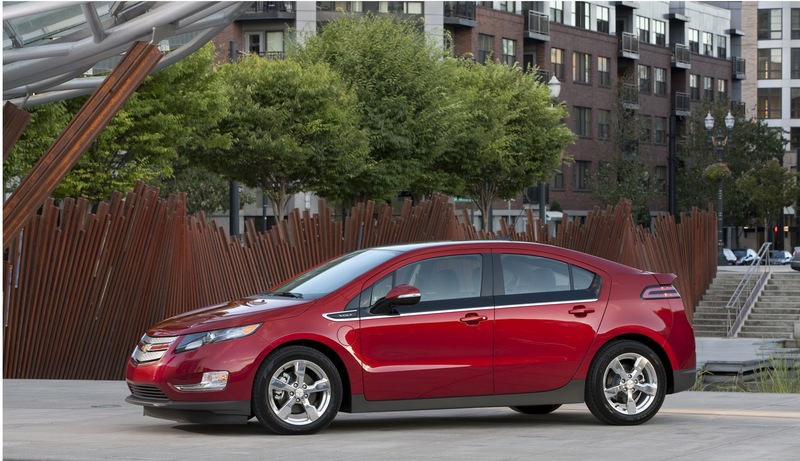 The Chevrolet Volt is not a hybrid. It is a one-of-a-kind, all-electrically driven vehicle designed and engineered to operate in all climates. Powered by GM’s revolutionary Voltec propulsion system, it consists of a 16-kWh lithium-ion battery pack and electric drive unit that provide pure electric range between 25 and 50 miles, depending on terrain, driving techniques and temperature. A 1.4L gasoline-powered engine extends the range up to an additional 310 miles on a full tank of fuel by operating the vehicle’s electric drive system until the car can be plugged in and recharged or refueled. This distinguishes the Volt from electric-only vehicles, which cannot be operated when recharging is not immediately available – such as during a power interruption or on a long-distance trip. “The Chevrolet Volt makes the electric driving experience as productive, efficient, intuitive, safe and fun as any premium vehicle its size in the market today,” said Doug Parks, Volt global vehicle line executive. Every major element of the Volt was designed and analyzed for efficiency, including its highly aerodynamic exterior, lightweight wheels, specially designed tires, energy-saving premium stereo system, and more. This attention to detail makes the Volt one of the most aerodynamic and energy-efficient vehicles in the market. 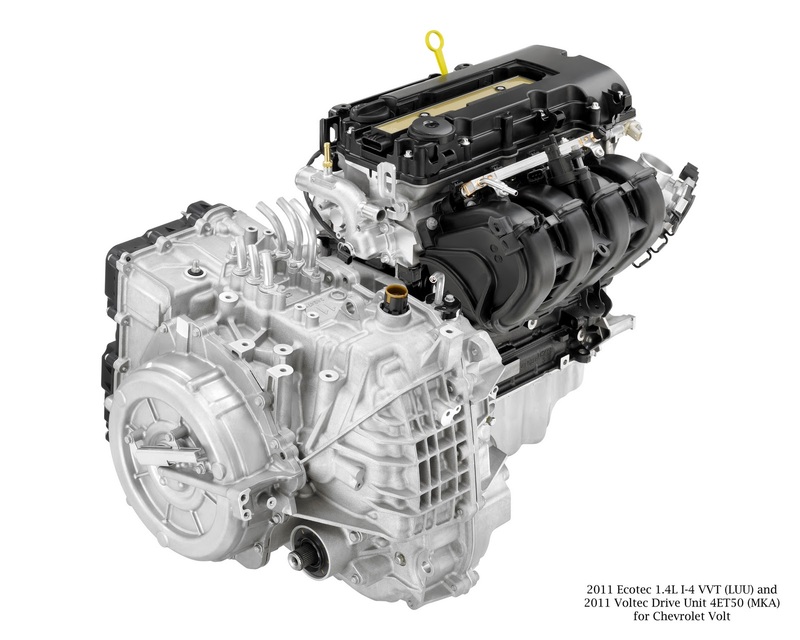 The heart of the Chevrolet Volt is its Voltec propulsion system, which combines pure electric drive and an efficient, range-extending engine, giving to the Volt up to 350 total miles of range. The Volt’s long-life battery consists of a 5.5-foot, 435-pound (198.1 kg) T-shaped, 16-kWh lithium-ion battery pack manufactured in Brownstown Township, Mich. 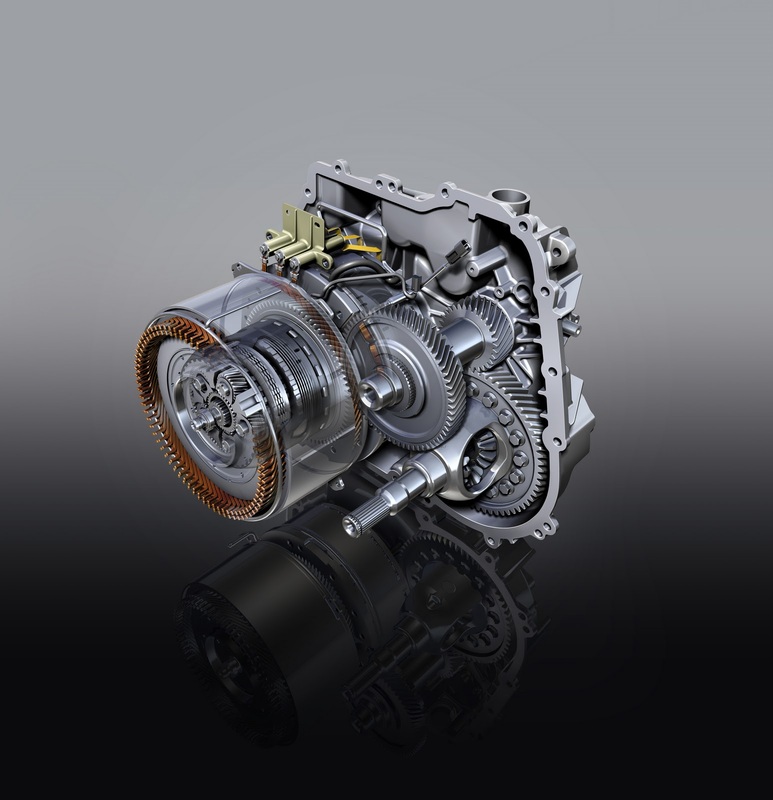 It supplies energy to an advanced, 111-kW (149-hp) electric drive unit to propel the vehicle. Using only the energy stored in the battery, the Volt delivers between 25 and 50 miles of fuel- and tailpipe emissions-free electric driving, depending on terrain, driving techniques and temperature. The Volt battery is designed to deliver value, safety, quality, performance, durability and reliability. It is covered by an eight-year/100,000-mile warranty. 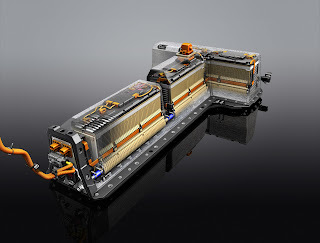 Since 2007, GM engineers have completed more than one million miles and four million hours of validation testing of Volt battery packs, as well as each pack’s nine modules and 288 prismatic cells. 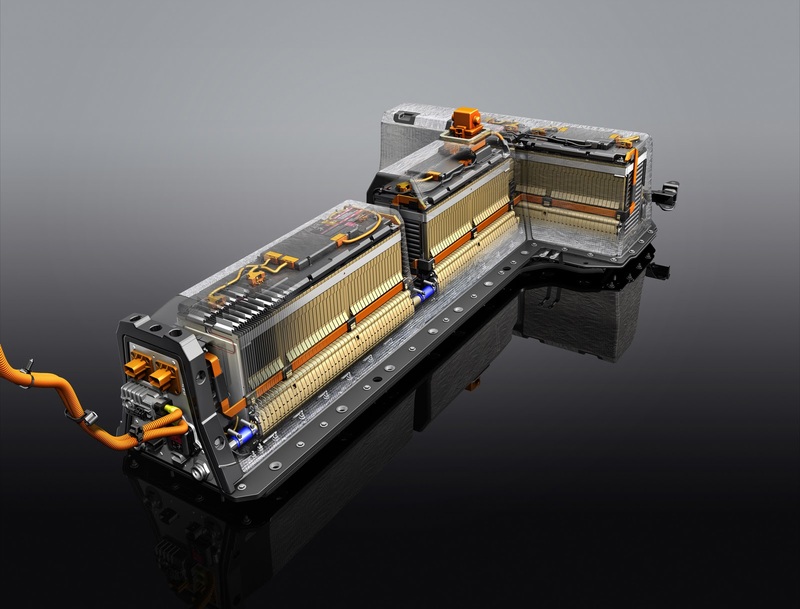 The development, validation and test teams have met thousands of specifications and validated each of the Volt battery’s 161 components, 95 percent of which GM designed and engineered. When the battery energy is depleted, the Volt seamlessly transitions to extended-range mode. Power is inverted from a technically advanced, 1.4L 63-kW (84-hp) gasoline-powered onboard engine to the electric drive unit to provide up to 310 additional miles of range. The Volt proves electric driving can be spirited. Not only does the Volt reach a top speed of 100 mph, the electric drive unit’s excellent low speed torque of 273 lb.-ft. (368 Nm) takes it from 0 to 60 mph in less than 9.0 seconds and the quarter mile in less than 17.0 seconds. Charging the Volt’s battery is simple and intuitive, and can be done through 120V conventional household electrical outlets, or through a dedicated 240V charging station. The vehicle is completely rechargeable in about four hours using a 240V outlet and 10 to 12 hours in a 120V outlet. Once the vehicle is plugged in, owners can schedule either immediate or delayed charges, even coordinating charging according to departure time or when electricity rates are lower. Owners also can manage and monitor the Volt remotely via computer on MyVolt.com; or an exclusive smart phone application, Chevrolet Mobile App powered by OnStar MyLink. The Chevrolet Volt’s bold, sleek, performance-oriented stance conveys its electrically driven capabilities, and looks like an upscale, midsize sport sedan. This is made possible by its wide front and rear tracks (61.2 / 62.1 inches [1556 / 1578 mm]), 105.7-inch (2685 mm) wheelbase, wheels-out stance, sculpted belt line and premium execution. Working closely with aerodynamicists in GM’s own wind tunnel to shape the Volt, design and engineering teams developed the most aerodynamic vehicle in Chevrolet’s history. By reducing the energy needed to overcome air resistance, Volt aerodynamicists contributed an estimated eight miles of electric range, and 50 miles of extended range. The Volt’s rounded and flush front fascia, tapered corners and grille enable air to move easily around the car to reduce drag. In the rear, sharp edges and a carefully designed spoiler control air flow. An aggressive rake on the windshield and back glass also helps reduce turbulence and drag. Inside and out, element-to-element gap and flush relationships are as good or better than any in the segment. Even the underhood compartment is not overlooked: All components are held to a high standard of appearance that harmonizes with the rest of the car, using similarly grained surfaces and colors. The distinctive, gloss black rear liftgate appliqué carries the Chevrolet bowtie and one of two Volt insignias; the other is found on the forward quarter panel. Six exterior colors are offered on the Volt, including Viridian Joule Tricoat, the winning name chosen in a national contest held last year. The others are Silver Ice Metallic, Black and Cyber Gray Metallic, Crystal Red Metallic Tintcoat and White Diamond Tricoat. Inside, the Volt offers the space, comfort, convenience and safety features that customers expect in a premium five-door sedan – including storage compartments and 40/40 rear-folding seats. It also delivers them in a variety of interior color, lighting and trim options unlike any offered before on a Chevrolet sedan, but with Chevrolet’s signature dual cockpit design. Two, seven-inch, high-resolution full-color screens are featured: One is a reconfigurable graphic cluster display and the other, in the center stack, features a touch screen display, touch-control switches and integrated shifter. * Five years of OnStar Directions and Connections service. In addition to enhancing safety and solidity, the Volt’s stiff structure accommodates features that help to isolate engine and wind noise for a whisper-quiet cabin. Great driving dynamics begin with a solid body-frame-integral structure that enables optimal tuning and provides drivers with an enhanced sense of stability, solidity and confident road manners. 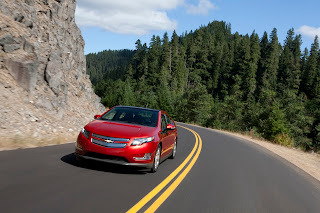 The Volt’s MacPherson strut-type suspension, sophisticated compound crank rear axle and quick-reacting, rack-mounted electric power steering system with ZF steering gear – a feature commonly found on premium sport sedans – have been tuned to deliver a smooth, refined ride with responsive handling and solid, on-center feel. A low center of gravity combines with the wider track and long wheelbase for balanced performance, and front and rear hydraulic ride bushings, another premium addition, help eliminate road harshness. The electro-hydraulic regenerative brake system captures energy up to 0.2g for transfer back to the battery. The friction braking system features large rotors with a special finishing process that protects against corrosion and promotes longer life. The Volt rides on lightweight aluminum wheels that weigh only 17.8 pounds (8.1 kg) each, compared to 24.2 pounds (11 kg) for typical 17-inch wheels. They’re wrapped in Goodyear Fuel Max all-season, low-rolling resistance tires optimized for electric vehicle range, noise, feel and performance. Like all Chevrolet vehicles, the Volt helps protect occupants before, during and – thanks to OnStar – after a crash. Crash-avoidance features include standard anti-lock brakes with traction control, StabiliTrak electronic stability control and advanced, LED daytime running lamps that make the Volt more visible to other motorists and pedestrians. Occupant protection continues with a strong structure, and the Chevrolet Volt’s body-frame-integral structure strategically blends advanced steels to help ensure crashworthiness and stiffness. 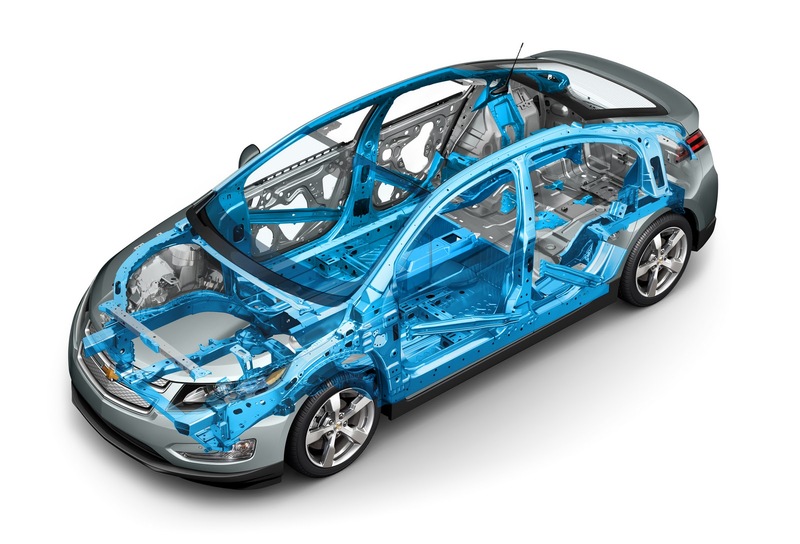 Nearly 80 percent of the Volt’s overall structure consists either of high-strength, advanced high-strength or ultra high-strength steel. Active occupant protection features include eight standard air bags and safety belts with dual pretensioners to help reduce the risk of injury. After a crash, the Chevrolet Volt offers the security of OnStar, which uses built-in vehicle sensors to automatically alert an OnStar advisor in certain types of collisions. The advisor is immediately connected to the vehicle and can request that emergency help be sent to its location. Because the Volt operates so quietly in all-electric mode, a driver-activated feature sounds a noise to alert pedestrians, particularly those with visual impairments, in an intersection. The alert was developed in conjunction with the American Federation of the Blind. 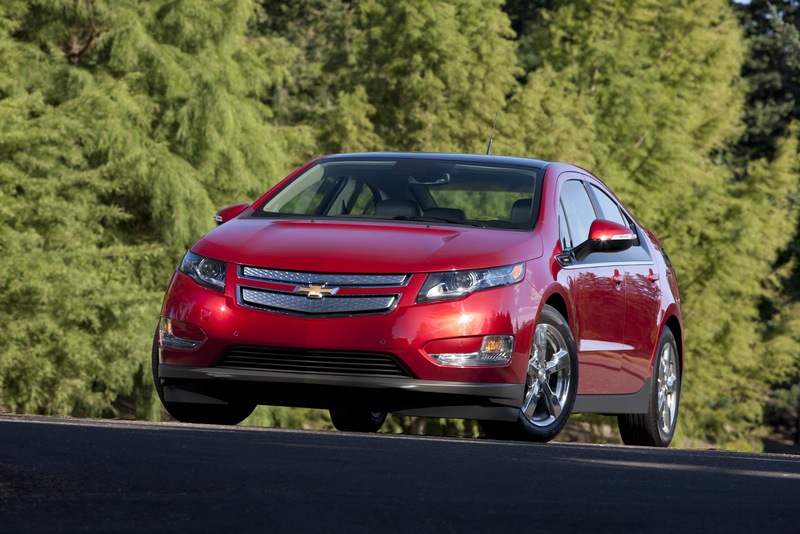 There is much more technology inside the Volt than its electric propulsion system. Intuitive features such as high-resolution displays, connectivity and the ability to monitor and control vehicle functions remotely redefine how owners interface with their vehicles. High-resolution, seven-inch, full-color LCD reconfigurable Driver Information Center display. The display shows electric-only range, fuel economy, , extended-range, trip information, tire pressure information and other key vehicle messages. High-resolution, seven-inch, full-color, center stack-mounted touch screen display that serves as the interface for infotainment and cabin climate controls. An Efficiency (Leaf) switch accesses energy usage, power flow and charging screens – all easy to use and understand. Charge modes are customizable according to need and electricity rates for efficient programming and lower costs. An exclusive mobile app, powered by OnStar MyLink, that enables owners to engage with the Volt functions using a smart phone. I suggest include a twitter it link.